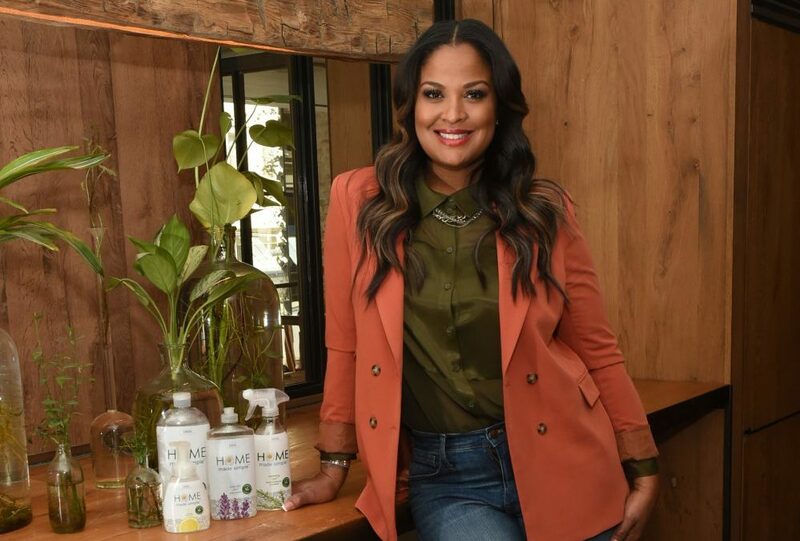 In addition to her undefeated boxing record and being the daughter of the legendary Muhammad Ali, Laila Ali is a chef, author, entrepreneur, and television host. On top of that, she’s a health-conscious wife and mother dedicated to empowering people through healthy lifestyle options. That’s why it comes with little surprise that she signed on to be the face of Home Made Simple’s new eco-friendly cleaning product line. 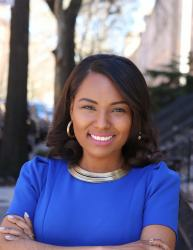 Many know Home Made Simple as an Emmy-award winning docuseries Ali hosts on the OWN network. On the show, Ali and a team of experts help real people transform their homes and lives by using creative solutions to everyday home challenges and design dilemmas. 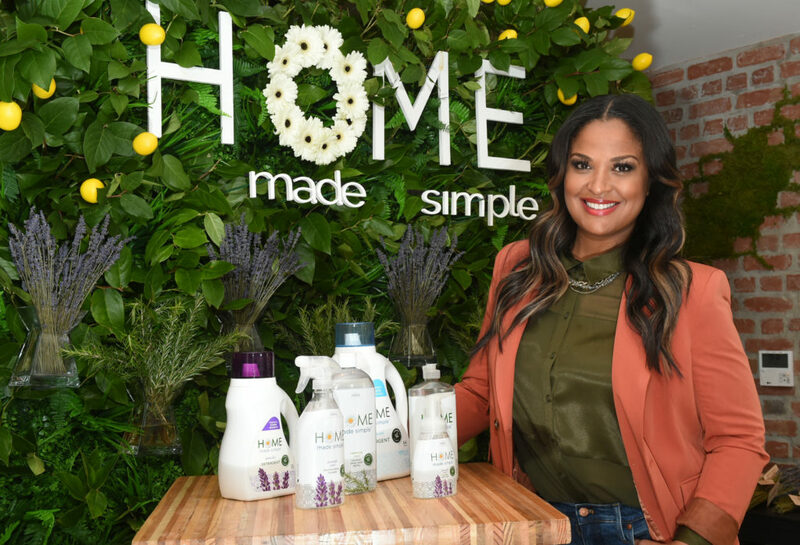 On March 27, the lifestyle brand announced the next phase of its budding empire: a line of plant-based household products that include a hand soap, dish soap, multi-purpose cleaner, laundry detergent, and fabric softener. The collection is free of gluten, parabens, phthalates, phosphates, and dyes. Plus, the bottles are 100% recyclable, and both the laundry detergent and fabric softener bottles are made from 25% or more post-consumer recycled plastic. Ali says she signed on to promote the product line because it is in line with her values. Just like her father initially disapproved of Ali’s decision to step into the ring, likewise, Ali says she would caution her own 12-year-old son and 8-year-old daughter about competing in the combat sport. “I definitely don’t want them to do that because it’s a dangerous sport and I think my dad felt the same way when I started boxing, but it didn’t prevent me from doing it.” Nonetheless, she said she would support her children if they did decide to carry her family’s legacy. Watch BE‘s exclusive video interview with Laila Ali below.